Two things why I hate climbing - one, it's tiresome; and two, it's never really my thing. One can't just simply scale a mountain, or a hill without having at least weeks of physical exercise. Truth be told, I hate doing physical activities. I'd rather drown myself with sudoku puzzles and books than endure sore muscles and back pains. LOL. #priorities. Right after our afternoon snack at a cozy cafe, we started our walk to Calvary (haha). Anyway, I wasn't really expecting that the Elephant Mountain Trail would be included in our itinerary. More so, I thought it was just your typical walk in the park. I was wrong... so wrong on so many levels! According to the signage, it would take us at least 20-30 minutes to reach the peak from the starting point. 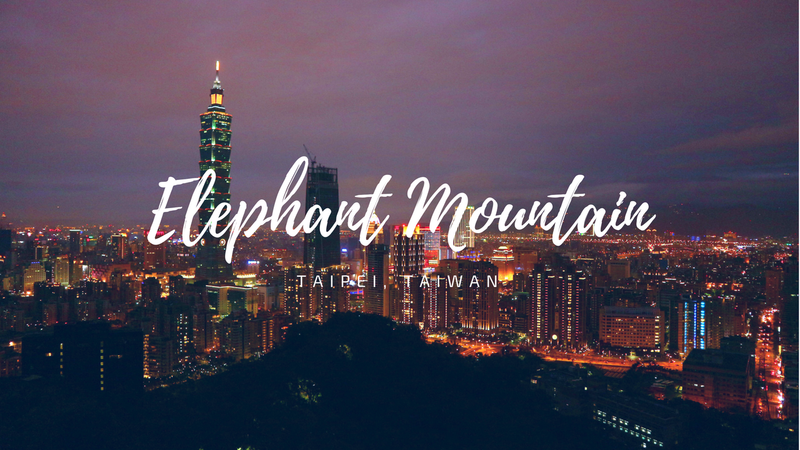 The Elephant Mountain Trail (Nangang District Hiking Trail) is known for its steep stairs and the panoramic view of downtown Taipei. On the first three minutes of the hike, my knees were shaking *a bit* and I want to go down. However, there's no turning back, and I don't to be left behind. Besides, I am already in Taipei, so what's the point of not pursuing it, right? So, I took a deep breath and went anyway. They told me it was just a 'mind over matter' thing. Most of us weren't physically and mentally prepared for this activity (we're in the same boat). We took a five-minute rest at the pitstop somewhere in the middle of the climb. We gasped for air and fought with gravity. It was really a bad idea. Thirty minutes seemed an eternity but hey, we made it to the top! We pushed ourselves to the limit, and our motivation was seeing the old people who took the same plight with us. The rumors were true - the view from the hill was really stunning! We stayed there for the next 45 minutes to witness the sunset. We saw how day slowly turned to night. The city lights started to flicker as the sky changed its hue from blue to violet. It was one of the best moments of the trip. No matter how tiring the climb was, the view was just priceless. Is it true na visa-free country na ang Taiwan for Pinoy?